I work with Spatial dataset in QGIS and as usual, it is linked to an attribute table. What is now unusual to me is that the attributes data is now growing and my client doesn't want the data merged on one table. He needs different tables as the data comes in. So, I want to know how I can have the spatial data linked to multiple tables without necessarily using a database engine. Just the normal attributes tables in QGIS linked to one spatial dataset? I need a way to do this without using database (such SQLite, PostGIS, MySQL Spatial etc)? If QGIS don't support this by default, any suggestion on any Open Source GIS plugin/software is also well come, but no database. 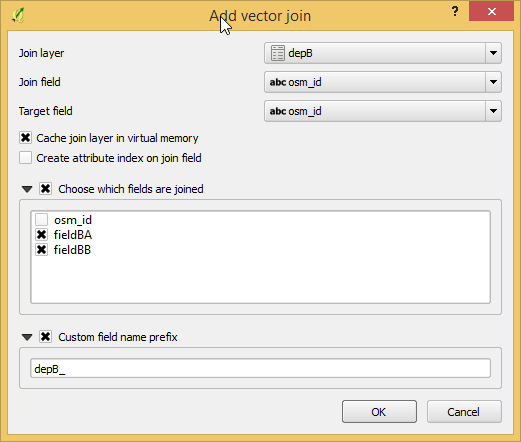 How do I link more than one Attribute tables to Spatial data on my map in QGIS (no database)? As I understand well,you have one layer with spatial data and multiple tables. 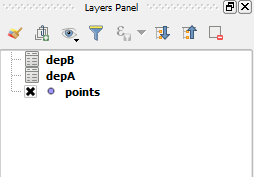 In my example I have one pointlayer and two tables (depA and depB). If you change/add data in the linked tables (depA or depB), the changes will be shown in QGIS. You can send table depA to one department. When you get it back, replace the old table with the new table. Warning: give it the same name and the referencing field (join field) has to be the same (see picture under). Not the answer you're looking for? Browse other questions tagged qgis attribute-table spatial-join or ask your own question. Is there a limitation in quantity of joined tables using spatialite views?